Phishing is the most popular cyberattack in the digital world today. Cybercriminals often use various platforms (email, text, phone call) to lure victims to click on links to install malware or trick you into divulging confidential information including passwords, credit card details, and other details about yourself. Social media platforms, such as Facebook and Instagram are also prone to phishing. While these platforms typically offer security controls to help prevent phishing, cybercriminals are adept at getting around them. Think You Are Already a Pro at Recognizing Phishing Messages? If you think that you already know all there is to know about phishing, head over to Google's recently launched online phishing quiz and test your knowledge. 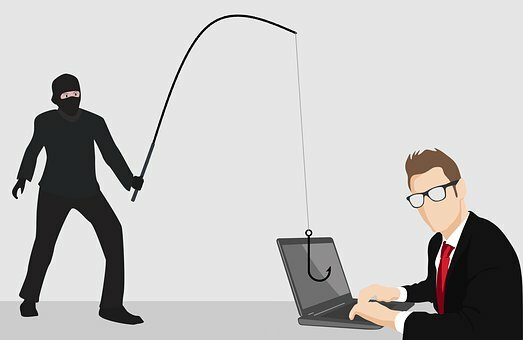 The landscape of phishing messages is constantly evolving but you can limit the damage by being proactive. We understand that identifying phishing can be challenging, but if you pay attention and follow these tips, you can avoid phishing attacks. Avoid clicking on questionable links - these links could redirect you to phishing sites or sites that install malware. Beware of "fake news" - always confirm the accuracy and source of information claiming to be news on social media platforms. Check out resources on your social media platforms. For example, Facebook offers a number of tips on preventing phishing here. Never give your password to anyone. UofG will NEVER ask for your password or login information. Check our Recent Scams and Phishing Attempts page, if the scam is listed here, delete the email. Follow CCS on Twitter (@uofgccs) to receive up-to-date phishing scam alerts, along with other IT security alerts and tech information.